Shelf Actualization: Review: Cat's Cradle by Kurt Vonnegut Jr. 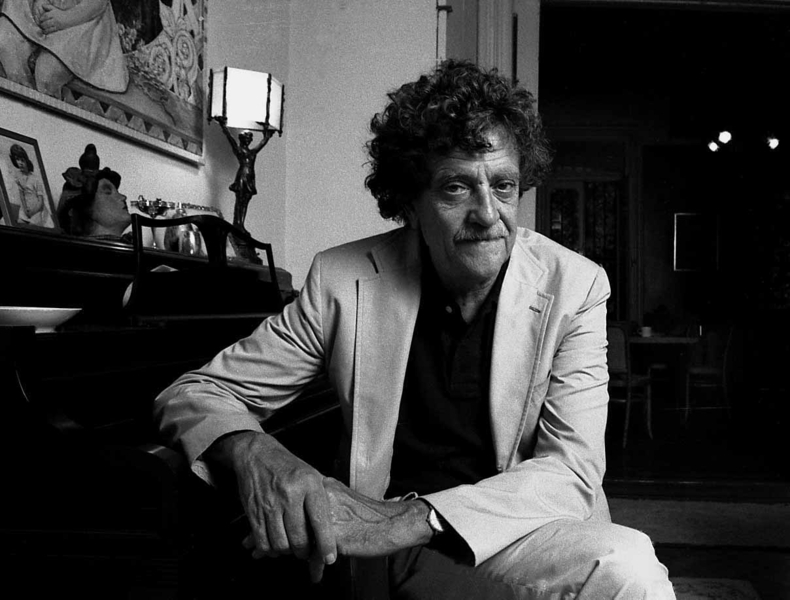 In his book Palm Sunday, Kurt Vonnegut once gave out letter grades to his own works. He handed out some Bs, Cs and Ds, but he also gave Mother Night , God Bless You Mr. Rosewater and Jailbird a grade of “A.” Of those, I’ve only read Mother Night , and absolutely loved it. So far so good. To two other books, he awarded “A+”s: Slaughterhouse-Five , which is kind of a universally accepted no-brainer, and Cat’s Cradle , which I hadn’t read until this week. So the question I naturally kept asking myself was this: is Cat’s Cradle really as good as Slaughterhouse–Five? And is it really better than Mother Night ? And even though it was nominated for a Hugo Award, the answer I kept coming back to is… not a chance. That doesn’t mean it’s bad, mind you, but I don’t think it really measures up. Now, it’s certainly as funny as either one of them, but I just got the impression it wasn’t really about anything. He starts out strong, unraveling a mystery for the reader that is equal parts family history and geopolitical intrigue, and piecing together the fictional religion of Bokononism, which is wildly entertaining and has, I suppose, some decent satirical purposes. But from there we’re just kind of sucked through a vortex where everything happens so suddenly, and ends so quickly, that it almost left me with the impression Vonnegut was too bored to follow through and make it a book about something important. Either that, or he wasn’t sure how to end it, so he just cut it short in a “betcha-didn’t-see-that-coming” sort of a way. Anyway, it’d be fine as a beach read. It packs a few punches, and it will definitely make you laugh. But if you’re looking for A-level Vonnegut, you might want to look elsewhere. Just my $0.02. Cat's Cradle's deceptively simple writing style masks the deeper messages it offers including lessons on love, pain and human nature. These seemingly innocuous sentences blend together to create both a compelling story, and a valid view of both events in the past and those likely in the future of humanity. In short, this novel is an enjoyable read brilliantly choreographed by one of the greatest American authors of our time.